On Tuesday, the 19-year-old posted a spellbinding photo to Instagram of herself relaxing on a boat in the Caribbean Sea. 19-year-old model continues to enjoy a vacation in the Caribbean. Model went on holiday in company of friends. In the images shared to Instagram, Bella is seen posing in swimsuits and showed his slender figure. Then she put on display another photo. Bella is lying on luxury white yacht and enjoying sunbathing and sea air. Model Bella Hadid seems to never quite takes a vacation from her job. Wearing nothing but a blue and black bikini, Gigi Hadid's thunder-stealing sister folded her arms behind her head and arched her slender legs in a classic magazine ad pose. All hands on deck! 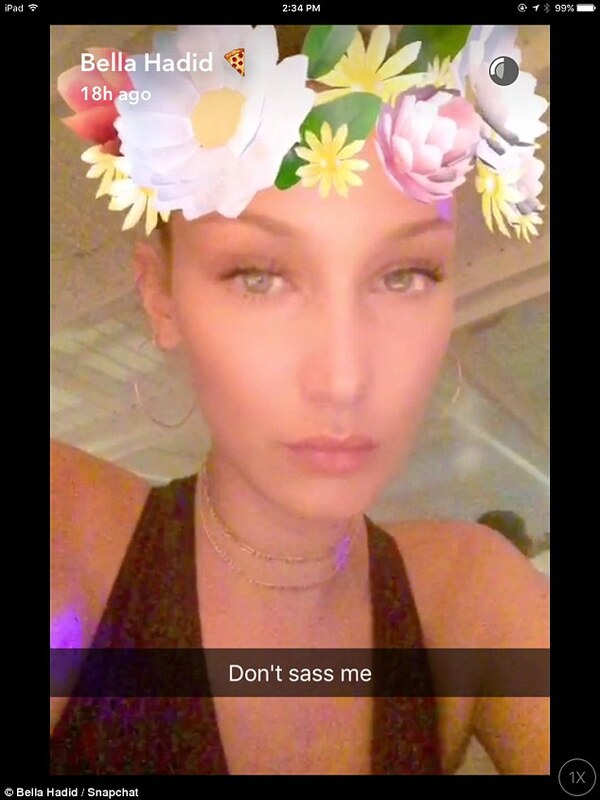 Bella Hadid posted snaps from her Caribbean holiday on Tuesday. The fashion wunderkind, who made Models.com's Top 50 in June, has spent the last few days cavorting around the Caribbean islands, including Saint Barthélemy. On Tuesday, her boat flew the flag of Saint Vincent and the Grenadines, which may be the island behind her in the photo. In another Instagram photo that day, the face of Dior Beauty appeared with her pal Jesse Jo Stark. Onstage offstage: Bella models on her off-hours, posing elegantly on a boat as it glides through the Caribbean Sea Travel buddies: The 19-year-old model posed for a photo with singer Jesse Jo Stark, who has been vacationing with her in the Caribbean.